21 Revolutions germinated from a desire to promote and celebrate 20 years of Scotland’s sole women’s library archive and museum, showcase the best of women’s contemporary visual art and writing and highlight the unique museum, library and archive resources at Glasgow Women’s Library. This ongoing project has resulted in 41 fantastic newly commissioned works, exhibitions, readings, a beautiful coffee table book and the Library being awarded the Arts & Business Scotland ‘Enterprising Museum of the Year’ Award 2013 for all its work. 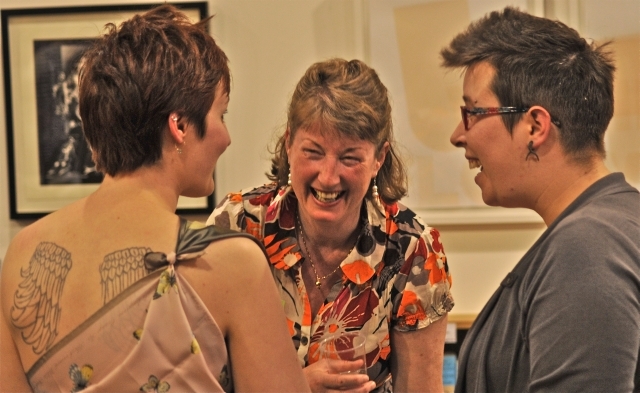 In 2011 (ahead of our 21st birthday in September 2012) GWL commissioned 21 artists and 21 writers to create new work inspired by our diverse and remarkable collections. Some of the most significant names in Scottish art and literature including Turner Prize nominees and lauded authors responded with new texts and artworks, from Janice Galloway to Denise Mina, Claire Barclay to Sam Ainsley. The resulting limited edition prints (each of the works being sold as part of our developing social enterprise) have been sold at our exhibitions at Intermedia Gallery at the Centre for Contemporary Art, Glasgow (Summer 2012) and the Royal Scottish Academy (Summer 2013) and through our website, and many have been acquired for public collections. Free downloadable podcasts were created of all the writers reading their works, with a new podcast released every month for 21 months on the GWL website and iTunes. 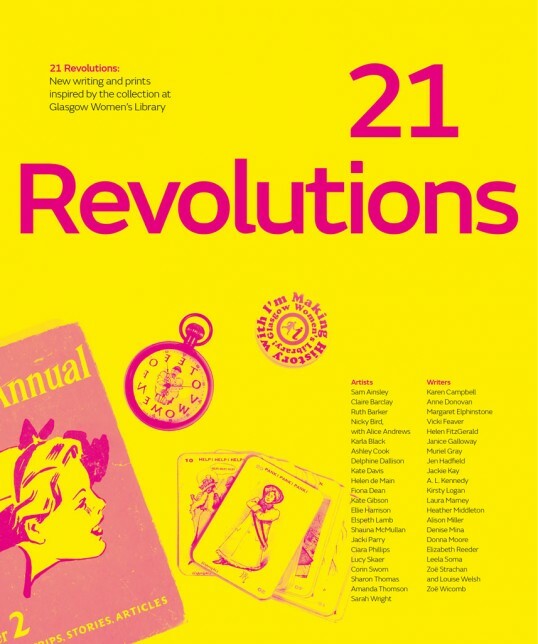 The 21 Revolutions publication (launched in March 2014), brings together the work of these 21 world renowned women artists and 21 of Scotland’s foremost women writers, along with the GWL collection items that inspired them and specially commissioned essays. We are now taking orders online and in the Library, so be one of the first to get your hands on it! The publication of the 21 Revolutions book was made possible by support from Creative Scotland, our co-publishers Freight Books, and everyone who helped us reach our Kickstarter campaign target. Many thanks to all our backers!